Auto accidents of all kinds need to be taken seriously. Even a seemingly minor fender bender can result in unexpected injuries, and ones that need to be taken serious. Victims of collisions that result in injuries should speak to the lawyers at our Stockton law firm. We have years of experience handling lawsuits over major injuries and serious car accidents. 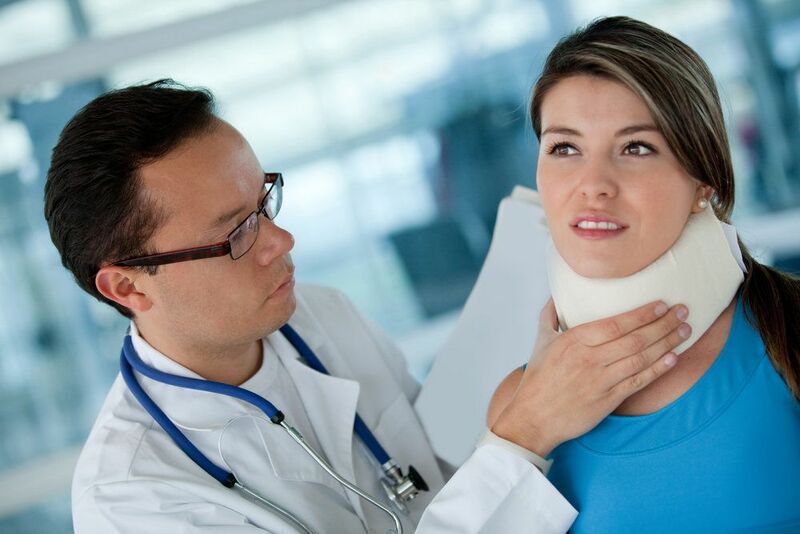 Whiplash is a common injury that many auto accident victims experience. Yet even though the name is well known, the nature of the injury isn't well understood. Let's consider the basics and how an attorney can help. Whiplash refers to a type of injury to the neck. The body is jolted very suddenly, causing the neck to snap and hyperextend itself violently. The motion of the neck is similar to that of a whip, which is why this injury is named as it is. Whiplash can affect the hard and soft tissues of the cervical spine. This means potential harm to these parts of the neck and upper back: the vertebrae, the vertebral discs, the muscles and ligaments, and the nerves. Rear-end auto accidents tend to be the most common causes of whiplash. The force of impact from a rear end collision unsuspecting jolts passengers and drivers, which lead to their necks extending and being seriously harmed. Apart from auto collisions, it is also possible to suffer from whiplash as a result of physical altercations and assaults, contact sports, and combat sports. Keep in mind that a few days may pass before these symptoms become apparent. Whiplash is more common than you may think. In fact, whiplash can occur in accidents as slow as 5 miles per hour. A number of whiplash injuries occur between 10 to 12 miles per hour. This speaks to how fragile the neck can be, and how a sudden jolt can lead to serious harm to unsuspecting motorists. In most cases, whiplash will need only minor medical treatment and attention. Most people who suffer from whiplash will need over-the-counter pain relievers, a neck brace, the use of hot or cold compresses, and proper rest. This will relieve pain and restore wellness after several days or several weeks depending on the nature of your injury. For more serious cases of whiplash and neck injury, injection therapy, prescription painkillers, and muscle relaxants may be used. Does Whiplash Have Long-Term Effects? In most cases, whiplash will not lead to permanent or long-term disability. It may result in difficulty performing certain daily tasks or duties at your job, but in the case of minor neck injuries, relief does come. There are rare instances in which the whiplash results in much more serious damage to the structures of the neck and upper back. This could mean serious impairment that can last for some time, or the need for advanced treatments that go beyond the solutions listed above. It's sometimes difficult to know what your rights are after suffering a serious injury. By working with skilled attorneys, you will have advocates on your side who will fight for your legal rights every step of the way. They will seek damages to cover medical expenses, vehicle damage, lost wages, and other hardships you've been forced to endure. The peace of mind an attorney provides can help you on the road to recovery. For more information about your legal rights and options in car accident cases, be sure to contact our team of injury and accident attorneys today. The team at Shore, McKinley & Conger, LLP will fight for you every step of the way.